Fresh home made naan in 30 mins. In a large bowl mix the flour, yeast, sugar, salt, yogurt and milk in a large bowl. 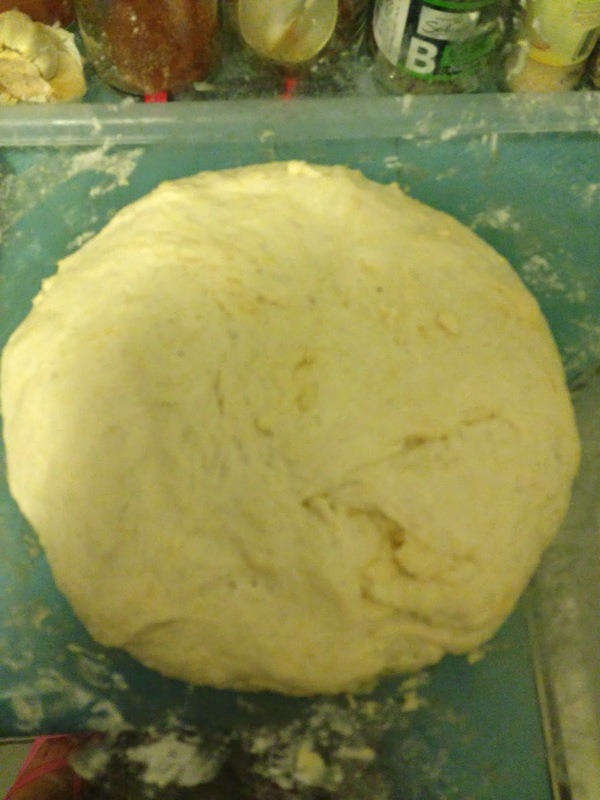 Knead to make a soft, slightly sticky dough. Apply some oil & make it into a smooth round ball. Place in the same bowl & brush the top with some oil. Keep it covered with a cling film or a dry kitchen towel in a warm place. For me it is usually my oven or microwave without turning it on. After 30mins the dough would have risen well. 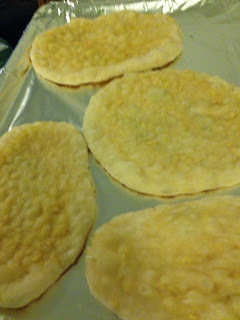 Toss it out on a clean, floured surface. Oil your palms & start kneading the dough again & divide it into 10 equal sized balls. Heat a flat pan on the stove & line a baking sheet with some foil. Take some plain flour & flatten the balls & start rolling with a rolling pin. You may also use your hands to make the shape of your choice. Apply some garlic paste or fresh finely chopped garlic on the top. You may also sprinkle some coriander if desired. Place the plain side down on the pan & cook for 5 mins till the base develops a nice golden colour. Trasfer to the lined baking sheet. Repeat for the rest of the dough. 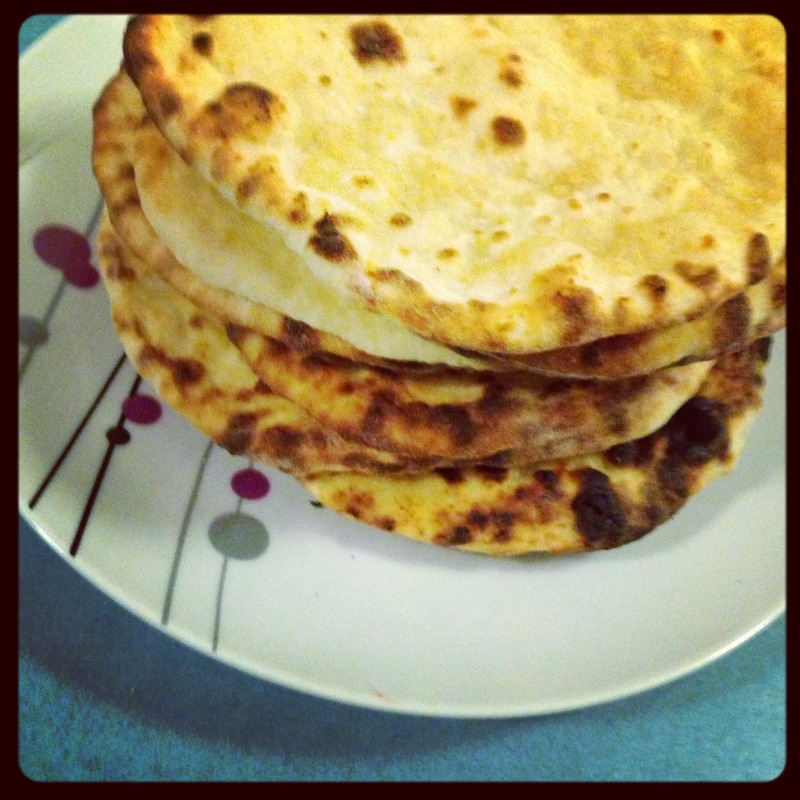 Once you have enough rotis on the baking sheet, turn the grill on high. Place the sheet under the grill & cook the top till it develops a nice golden brown colour. Repeat for rest of the rotis. 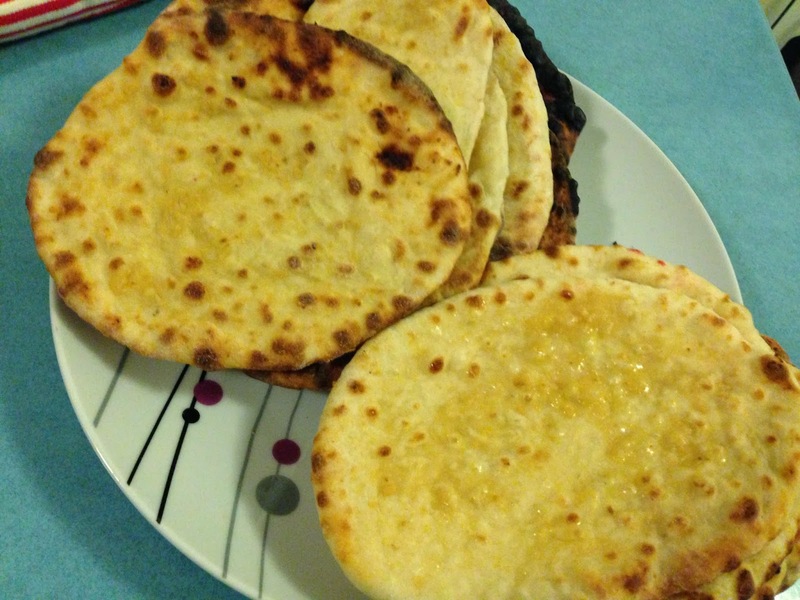 Once all the rotis are ready apply ghee or butter. You can refrigerate these for 4 days. Put it in the microwave before eating.